Heavy gauge tufa cast bolo by Harrison Jim (Navajo) in bowguard shape and tufa cast tips; set with No. 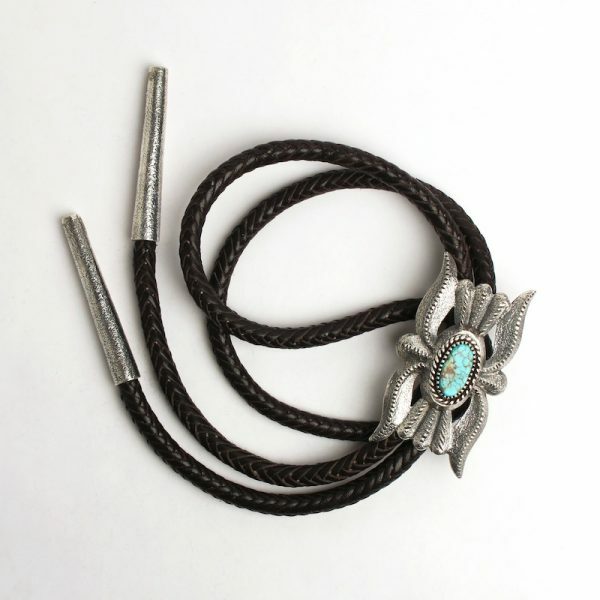 8 turquoise. 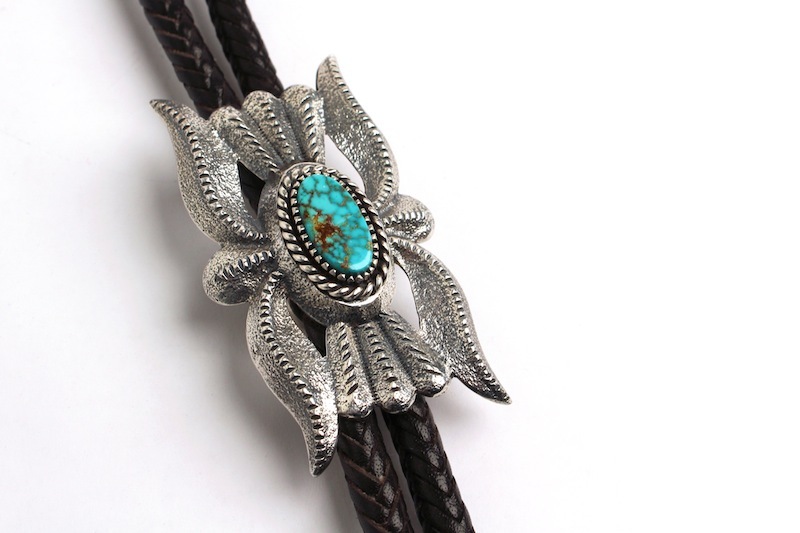 Harrison learned silversmithing while attending Gallup High School and has been a full time jeweler since 1992. 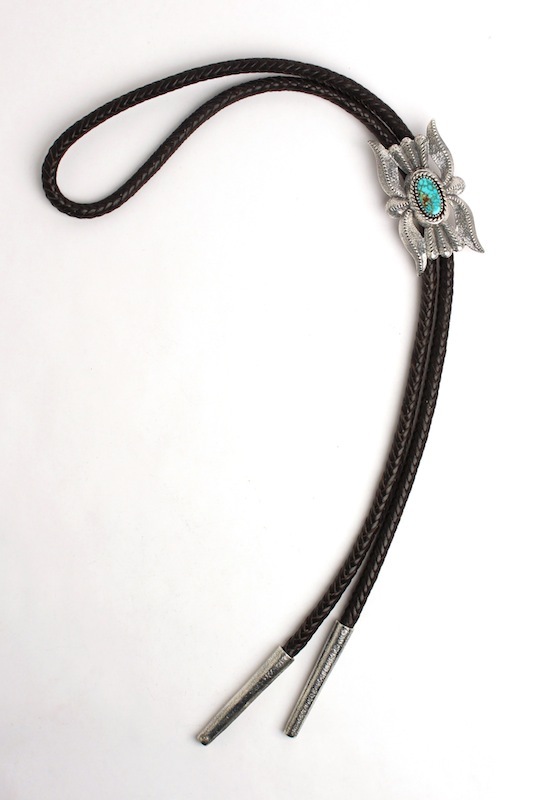 Bolo clasp just under 3″; 22 1/8″ from top center to ends.